This is “Case in Point: General Electric Allows Teamwork to Take Flight”, section 13.1 from the book Management Principles (v. 1.1). For details on it (including licensing), click here. In Durham, North Carolina, Robert Henderson was opening a factory for General Electric Company (NYSE: GE). 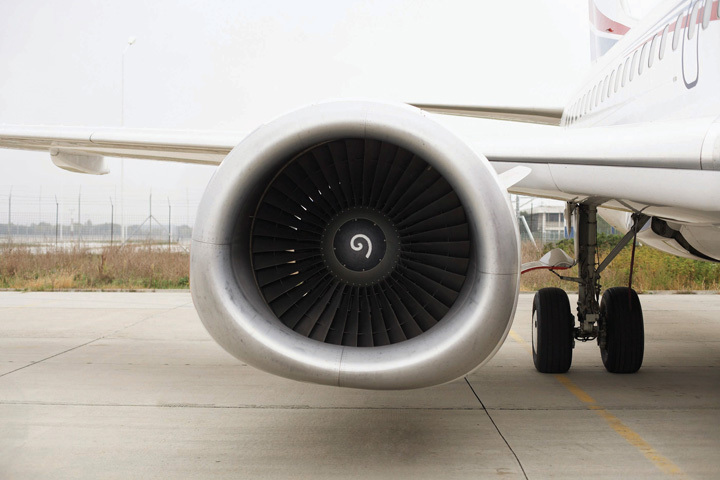 The goal of the factory was to manufacture the largest commercial jet engine in the world. Henderson’s opportunity was great and so were his challenges. GE hadn’t designed a jet engine from the ground up for over 2 decades. Developing the jet engine project had already cost GE $1.5 billion. That was a huge sum of money to invest—and an unacceptable sum to lose should things go wrong in the manufacturing stage. Empowering factory workers to contribute to GE’s success sounded great in theory. But how to accomplish these goals in real life was a more challenging question. Factory floors, traditionally, are unempowered workplaces where workers are more like cogs in a vast machine than self-determining team members. In the name of teamwork and profitability, Henderson traveled to other factories looking for places where worker autonomy was high. He implemented his favorite ideas at the factory at Durham. Instead of hiring generic “mechanics,” for example, Henderson hired staffers with FAA (Federal Aviation Administration) mechanic’s licenses. This superior training created a team capable of making vital decisions with minimal oversight, a fact that upped the factory’s output and his workers’ feelings of worth. Henderson also contracted out non-job-related chores, such as bathroom cleaning, that might have been assigned to workers in traditional factories. His insistence that his workers should contribute their highest talents to the team showed how much he valued them. And his team valued their jobs in turn. GE’s bottom line showed the benefits of teamwork, too. From the early 1980s, when Welch became CEO, until 2000, when he retired, GE generated more wealth than any organization in the history of the world. Case written by Talya Bauer and Berrin Erdogan to accompany Carpenter, M., Bauer, T., & Erdogan, B. (2009). Principles of management (1st ed.). New York: Flat World Knowledge. Based on information from Fishman, C. (1999, September). How teamwork took flight. Fast Company. Retrieved August 1, 2008, from http://www.fastcompany.com/node/38322/print; Lear, R. (1998, July–August). Jack Welch speaks: Wisdom from the world’s greatest business leader. Chief Executive; Guttman, H. (2008, January–February). Leading high-performance teams: Horizontal, high-performance teams with real decision-making clout and accountability for results can transform a company. Chief Executive, pp. 231–233. Teams are an essential part of the leading facet of the P-O-L-C framework. Looking at the team role typology, how might you categorize the roles played by the teams in this case? What do you think brought individuals at GE together to work as a cohesive team? In the case of GE, do you view the team members or the management leaders as the most important part of the story? How do you think Henderson held his team members accountable for their actions? Do you think that GE offered a support system for its employees in order to create this type of team cohesion? If so, how might this have been accomplished? What are the benefits of creating a team whose members are educated to make vital decisions with minimal oversight, as GE did in hiring staffers with FAA mechanic’s licenses?